In time the Southern Pacific's Sunset Route earned near mythical status thanks to its beauty and the chance to travel via one train from New Orleans to Los Angeles with connections available to Florida. The top run on this route was, of course, the popular Sunset Limited, considered one of the railroad's most prominent on its entire system. Its counterpart, running on a slower schedule with more economical ticket prices, was the Argonaut. This train, launched in the 1920s, was never streamlined nor offered the same level of amenities as the more prominent Sunset. However, it nevertheless provided fine accommodations in typical Espee style. As ridership declined the train became a regional serving Texas and New Orleans until it was finally dropped altogether in the early 1960s. The Sunset Limited was an interesting affair. Here was a train considered by the Southern Pacific as its flagship to the Gulf Coast for many years and advertised as the, "Quickest, Safest and most pleasant route to the Coast." As it grew in popularity Southern Pacific continued upgrading its services; during World War I it became a daily departure and in 1936 was given the recognition as trains #1 (westbound) and #2 (eastbound) on the timetable. By then, the streamliner era was underway. Yet, while the Espee was an early proponent of this new craze, launching its first Daylight in 1937, the railroad was slow to upgrade its Sunset Limited with lightweight equipment until after World War II. Once doing so, however, it could reasonably be argued it was worth the wait with the arrival of five new trainsets from the Budd Company and E7 diesels from Electro-Motive, all wearing the railroad's venerable Daylight livery. The Argonaut was launched by SP in 1926 to complement the Sunset and offer passengers a less expensive alternative to the latter's first-class accommodations. It ran on a schedule of about 5 hours slower than the Sunset and offer a heavyweight consist of several head-end mail/express cars, standard coaches, sleepers, and a moderately priced diner. With the introduction of the Argonaut the Espee began prominently advertising both the trains in print media. One particular piece had this to say about the train: "California sunshine all of the way via the Sunset Limited. Old missions and churches, quaint and colorful, weave their magic spell over the Sunset Route between New Orleans and Los Angeles and San Francisco. Here Spaniard, Indian and Mexican have contributed landmarks and customs which make this truly a foreign tour along our southern border." "The Sunset Limited, a luxurious all-steel train, leaves New Orleans daily at 10:40 A.M. Club Car; Observation Car; Ladies' Lounge and Bath; Superb equipment throughout. Another excellent train, the Argonaut, with wide vestibule Observation Car, and through sleeper for San Diego via Carriso Gorge, leaves New Orleans daily at 11:00 P.M. Liberal stopovers at New Orleans, Houston, San Antonio, El Paso, Tucson, Phoenix, etc. Convenient service for the Apache Trail motor side trip. Sunset Route. While in the West see the whole Pacific Coast from Mexico to Canada - thriving cities, age-old missions, gigantic trees, majestic peaks, the romance and picturesqueness of the Orient - 1,300 miles of inspiration and beauty, at an additional cost of only $18." 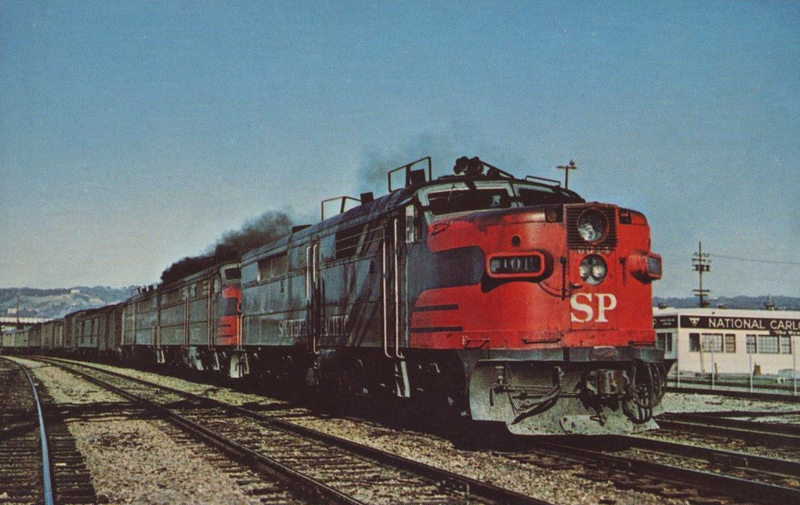 The Argonaut was listed on Southern Pacific's table as #5, westbound, and #6 eastbound with a connection available to San Diego via Carriso Gorge along subsidiary San Diego & Arizona Eastern (this setup was later discontinued). While it was never streamlined it was pulled by either the railroad's beautifully styled Class GS 4-8-4 "Golden States" or Class MT 4-8-2s. During the diesel era the train could often by found led by Alco's beautiful PA model, of which the Espee was one of the few roads to own many of these often troublesome (mechanically) locomotives. A 1950 consist of the Argonaut mentions it offered chair cars, a pair of standard Pullman sleepers (one running through and the other a connection to San Antonio), a diner, and a full lounge. It's also interesting to note that as a secondary train you would be surprised to learn what the Argonaut sometimes carried, according to Don Hofsommer in his book, The Southern Pacific, 1901-1985. In one instance during World War II, a California assembly plant was in desperate need of fighter plane landing gear and the SP quickly transferred a boxcar load to the Argonaut's express car on train #5 to arrive in time. On another occasion the author mentions an incident in 1927 when a train's steward arranged for a unscheduled stop to have a bottle of goat's milk delivered on a hot summer's day to aide a sick baby. Two of the most notable incidents, sadly, involved the loss of life. On May 7, 1951 a second section of the westbound Argonaut, a troop-train carrying Korean War soldiers, was traveling along the Texas & New Orleans about 86 miles west of Valentine, outside of the tiny hamlet of Small, when it entered a curve at excessive speed and derailed. Another derailment occurred on September 20, 1938 when the same train #5 slammed into the rear of the Californian on a siding at Niland, California due to a "faulty switch." In all, 11 persons were killed and another 100 injured. As the 1950s wore on the Southern Pacific became increasingly disinterested in passenger operations when it was clear that the ridership witnessed during World War II would not endure. 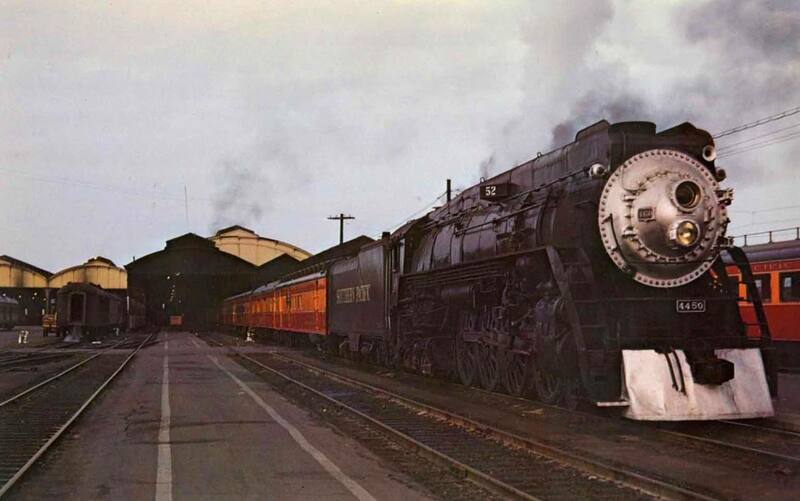 As a result cutbacks began all across its system, including the Argonaut which in 1958 was truncated to a regional Houston-New Orleans run only leaving the Sunset Limited as the only transcontinental on the Sunset Route. 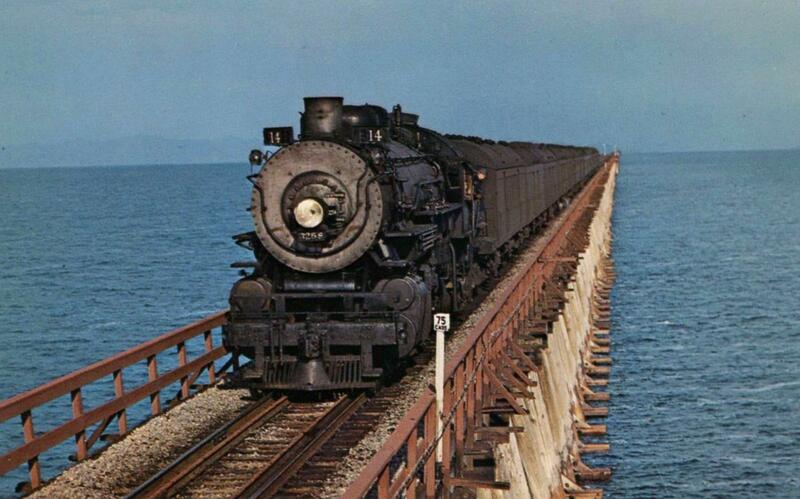 It continued on in this regard until 1963 when the Southern Pacific discontinued the train entirely.